Slots are the most widely spread and popular casino games of chance and they have various pay-lines, themes and bonus features. They are designed to attract many casino players looking for a hot and generous slots action. However, how generous a slot is depends on its return to player (RTP) percentage which ranges from one slot to another. Slot games with high RTP are generally the most generous and players should consider giving them a spin. 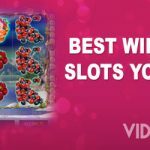 This article explains what RTP is and gives you a list of the top 10 online slots with the highest RTP. What Is RTP and Why Is This Information Important? RTP (Return to Player) is the percentage a casino game pays out to players over its lifespan. Slots with more than 97% RTP are very generous and might greatly boost the bankroll of players. The RTP also tells you how much money the casino is taking in from players and what is the house advantage of the games. For example, a slot with 95% RTP will pay out $95 for every $100 wagered meaning that the casino is taking in $5 for every $100 that the players bet. This also means that the house edge of the slot is 5%. That’s why you should be well informed about the RTP of casino games. It will tell you how much it pays out and the higher the percentage, the more generous the game is. This classic Playtech slot is themed around gold and coins. It comes with a ruby wild symbol that can substitute for the lantern bonus symbol. There is also a bonus feature where you need to choose from several chests to reveal a prize. In addition, players can also hold certain symbols if they want to and on the next spin the selected symbols will be held in place. Want to play this game now? 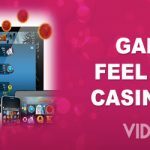 Check our list of VideoSlot approved Playtech casinos here. Goblin’s cave may feature simple gameplay, but extremely high RTP more than makes up for the lack of excitement. Ugga Bugga has an African Tribal concept. As a classic slot, the game doesn’t have many bonus features. In particular, it has a wild substituting symbol and a multi spin feature. This feature enables players to hold one, two or three symbols on the reels after the first spin. On the next spin, the symbols on the reels that you are not holding will spin and show your win. Hold feature and Wild symbol are stars of the show in Ugga Bugga slot from Playtech. This is another Playtech classic slot that has the same features as Ugga Bugga. The game’s wild symbol is the crown which acts as a substitute for all other symbols to complete winning combinations. The second bonus is the multi spin feature. 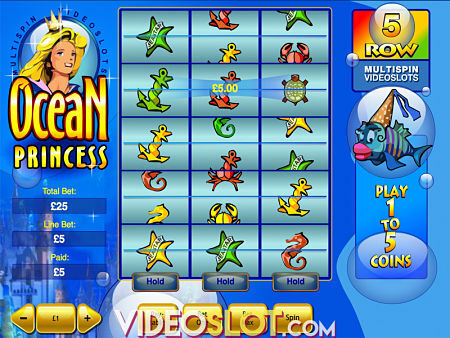 Unique multi-spin feature can seriously improve your winning chances when playing Ocean Princess. If you want to embark on a journey deep into the sea and win cash in the process, Nemo’s Voyage is the right slot for you. The game is all about the wilds- 2x wilds, 3x wilds, stacked wilds, wild reels and pressurized wilds unlocked after a certain number of spins. It also comes with wild and scatter symbols. 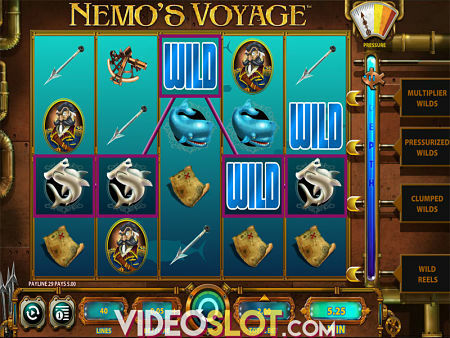 Frequent Wild symbols, highly interesting gameplay and impressive RTP make Nemo’s Voyage one of our favourites. 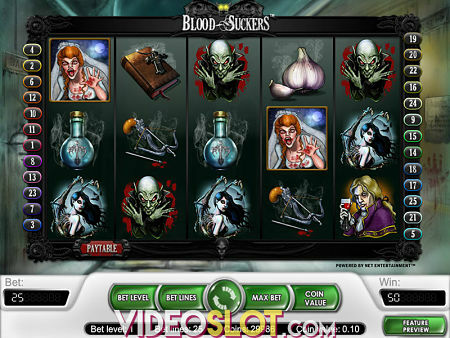 This ghoulish themed video slot from Barcrest can be played on both PCs and mobile devices. It is action packed with bonus features such as free spins, scatters, wilds, a Heart Attack Bonus feature, a Hi Roller feature and Graveyard and Super Graveyard Bonus features. Want to play this game now? Ooh Aah Dracula can be found at BGO Vegas. 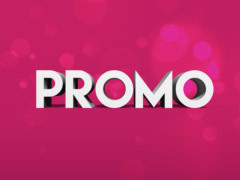 Get 20 Free Spins when you sign up! Amazing bonus rounds and High Roller feature could result in stunning payouts. 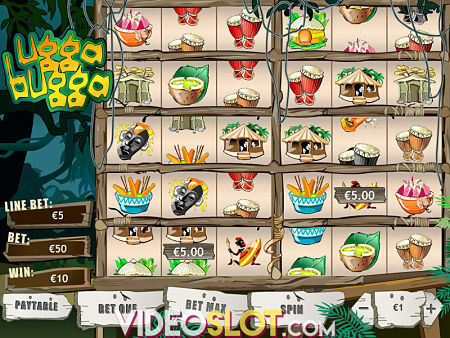 The slot is based on a tropic theme and gives a maximum payout of 2,500 coins. It comes with a generous Tiger wild icon and a multi spin feature. The minimum bet amount is 1p while the maximum bet amount is 125 credits per spin. Another multi-spin slot from Playtech that offers excellent winning chances. 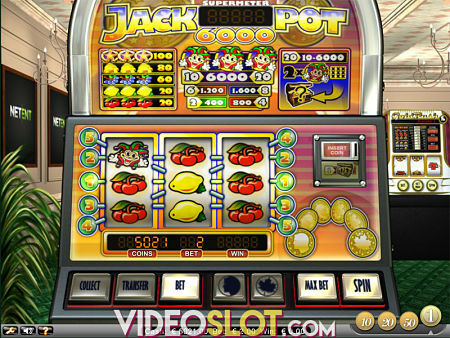 This classic slot from NetEnt comes with jokers a heads or tails double up as well as with a super meter jackpot feature. 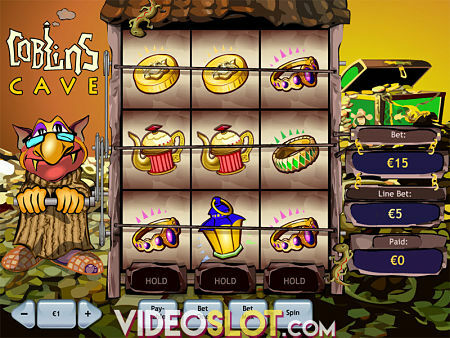 The slot gives players the chance to win up to 6,000 coins a game. To play it with real money, bet 10p up to 1 credit per line bet. Want to play this game now? 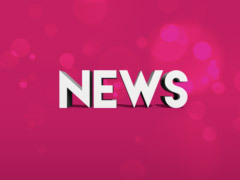 Check our list of VideoSlot approved NetEnt casinos here. A high variance slot with Super Meter Jackpot feature and gamble option. Themed around movies, this slot from Playtech has pretty high RTP and comes with a progressive jackpot. It features a wild and a scatter icon, a Movie Director bonus feature and a Box Office bonus feature. The progressive is hit when you get five projector wilds on an active pay-line at max bet. 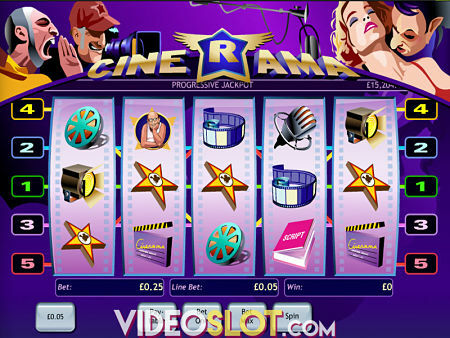 Cinema themed slot houses a progressive jackpot and two excellent bonus rounds. 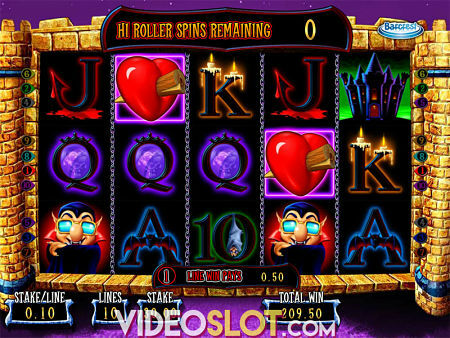 This vampire inspired video slot with outstanding graphics features wilds, scatters, free spins and two special bonus features- a Vampire Slaying bonus and a Skill Stop feature. The maximum bet per game is 50 credits with a maximum win during the free spins bonus round of 50,730 credits. Scary-looking NetEnt slot has become famous for awarding bumper payouts. The swooping reels in combination with the pigs turning wild can boost your bankroll up to the sky. The real magic happens in the free spins bonus feature. Here you collect moon icons to help the wolf blow down the three houses and get prizes on the way. Want to play this game now? Big Bad Wolf can be found at Leo Vegas. 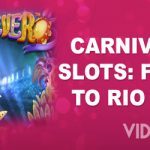 Get 200 Free Spins on your first deposit. 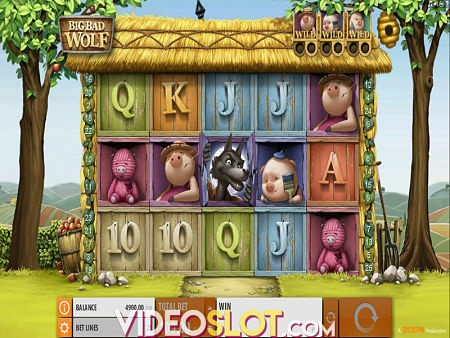 Voted the world’s best slot game, Big Bad Wolf easily lives up to the hype. *The RTP could vary from casino to casino. Our average is based on the RTP numbers collected from a number of the leading casino operators in the industry. You know, normally i would say . maybe. But the other day I went to a cainso and I played in the deepest part, the last slot machine, I felt so lonely, but every time I made it spin I won, 20 dollars, 50, 5, I ended up making 208 lol but the machine kept giving me win after win after win, and it was the very last, it was dark and lonely . It matches what he is saying, but some lady around themiddle area of the cainso made 5000 jackpot so yeah. 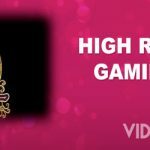 If you would like to see a complete playlist of all high 97%+ RTP slots please take a look at my utube playlist: “Slots RTP Reviews” so far i have got 29 but all way finding more to add to the playlist. Please feel free to use it as a guide.